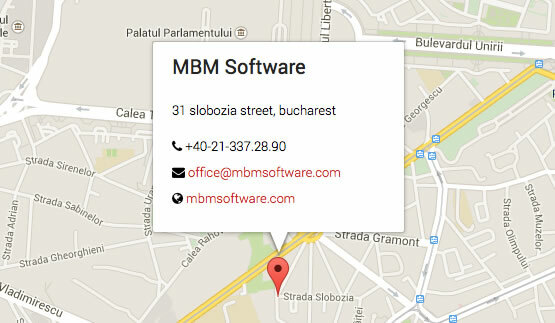 MBM Software is a top Romanian software outsourcing company, providing software development services to companies from the UK, France, Germany and the US. MBM’s range of services spans software and web development, mobile apps, identity and print. Over 10 years of practical experience, we have discovered theory matters less than practice. This is why we are very efficient at converting our client’s business objectives into practical solutions. We started out as local software developer. As a result, we own four software products currently serving more than 210 companies. Over time, based or client’s needs, we grew our software development skills, expanding and refining our core competences. MBM Software & Partners holds the ISO 9001:2001 certificate since 2007 (Certificate no. 6739 C). MBM’s vision is to work together with our clients, trying to fulfill each of their requirements. Providing the best technology to match our clients’ specific needs is the foundation of a good partnership. Over the years, we have managed to become a highly flexible and responsible organisation. Our highly skilled and carefully balanced team of developers, combined with our wealth of experience, are our key success factors. Our goal is to enable businesses and organisations to work more effectively and efficiently through the considered use of IT solutions. See our solutions and our services areas for more information. The most valuable and reliable assets that our company owns is people. Our highly skilled and dedicated staff is available for projects of rather big complexity. Education is also part of us. We encourage innovation, fast pace growing technologies, dynamic people – if you enjoy working in a young environment with the newest technologies, MBM Software will do the best to build a career for you. Environmental protection is an integrate part of the principles guiding our company’s activity. Through creating and keeping a safe and healthy work environment, and by adopting proactive measures for protecting this environment, we contribute to our company’s growth. We follow environmental and work protection guidelines, striving to improve work conditions. To put all this in practice, we work with top level consultants who provide valuable advice. Periodically, we check to see if all the requirements for work protection and a safe environment are met. purchase low level energy equipment (computers, servers, printers, light bulbs). Use eco-friendly, recycled and recyclable business cards. This objective is actively pursued by our company by ensuring all our employees attend regular classes on the importance of maintaining a good physical and mental shape. Our management participates and encourages all employees to take part in running events such as night runs or half marathons. We are a non-smoking company and see smoking as a distraction and a productivity drop cause. Since we started using Reliable HelpDesk in our daily work, we have noted more improvements in our activity, such as: increase of the the overall efficiency of the team, better accuracy of our reporting system, more satisfied users. 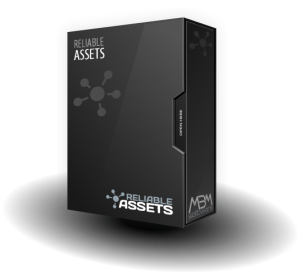 What I consider the most important advantage of this product, that I warmly recommend by the way, is that it can be adapted to use in any kind of organization and is a reliable management tool for any IT manager. Both internal customers (own employees), as well as external customers can benefit from this solution. 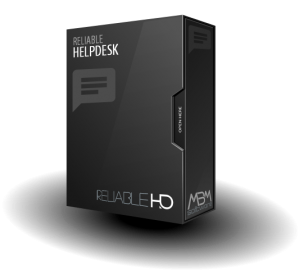 Reliable Helpdesk allows us to automate tracking processes, reducing costs, and making things overall more easy. 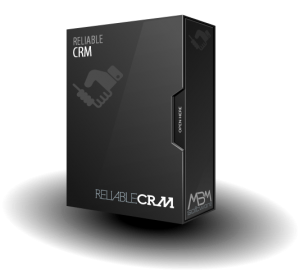 Moreover, the application ensures a history of solved complaints, technical details and other relevant information offered by technicians, custom fields based on the services and products delivered to our customers. Mr. Marc Mercado General Manager – Softrend Ph.